Firstbeat is the leading provider of physiological analytics for sports and well-being. They are able to transform heartbeat data into personalized information on exercise, stress and recovery. 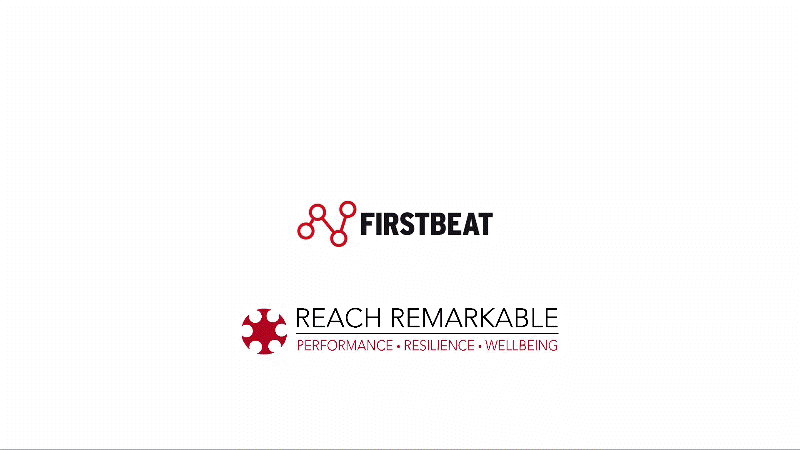 Reach Remarkable have partnered with Firstbeat in order to provide the Reach Remarkable Lifestyle Assesssment and Report. The lifestyle assessment can be used to support one-to-one coaching, or with a group as a part of courses like 7-Weeks to Performance, Resilience and Wellbeing. 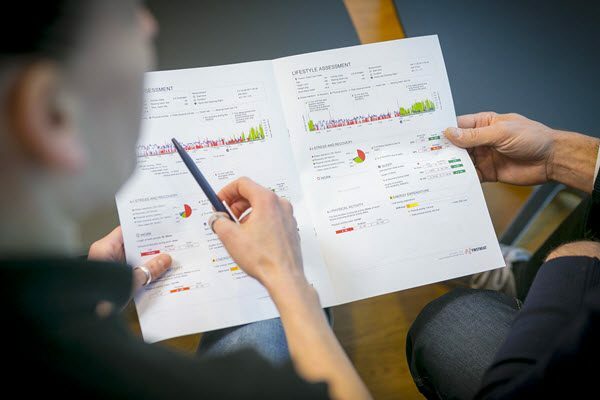 Firstbeat has developed revolutionary analytics technology that creates a digital model of user’s physiology through advanced modelling of heart function and heart rate variability (HRV). The background of Firstbeat is in exercise and physiological sciences and thier products are based on physiology research, working originally with elite athletes. Read more about Firstbeat at their website. Perhaps you’ve heard someone suggest ‘don’t think about pink elephants,’ or some such example in order to demonstrate how tricky it can be to not think about something that has just been suggested. This paradox was first written about by a group of research psychologist’s, led by Daniel Wegner, in a 1987 paper Paradoxical effects of thought suppression in what have come to be known as the ‘White Bear’ experiments. After further study, Prof. Wegner proposed the theory of ironic processes of mental control, describing the ironic or paradoxical effects of thought suppression. 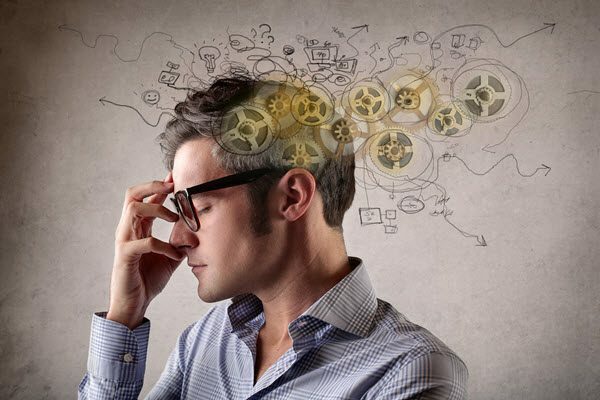 The super summary of the paradox is that the more you try not to think about something, particularly if there is associated emotion or anxiety, the more your mind brings your attention back to the thought – it’s called a rebound effect. In teaching mindfulness, I often describe this phenomenon as, trying to push away unwanted thoughts (or feelings) gives them the energy to push back. Sometimes you can distract yourself enough that the thoughts seem to go away, but usually, they’re waiting for the next moment in which to jump out on you again. If during a mindful meditation practice you find yourself trying to push away thoughts, or trying to ‘stop thinking,’ by dragging your awareness back to, say, your body breathing, there’s a good chance you’ll also find yourself frustrated by rebounding. So, the first useful realisation is simply, don’t try to stop your mind thinking about something, and indeed mindfulness meditation is not about stopping your mind from thinking. So, what is it about? 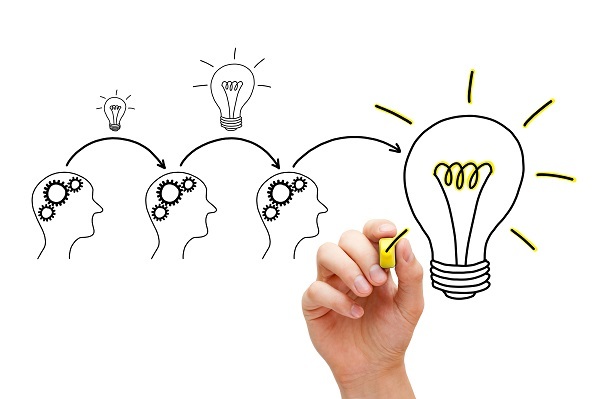 A much more productive approach is to be able to watch your mind thinking, without being caught up in the thoughts. This detachment or more formally, meta-cognition, takes some practice (that’s why we call it mindfulness ‘practice’), but it can have surprisingly helpful results. In a typical concentration practice, like watching your body breathing, the intention is to bring your focus and awareness to the chosen anchor (the breath in this case). But, what do you do if you’re constantly interrupted with ‘thinking’? Well, firstly, recognise that this is a normal process of our mind – it’s what our thinking mind is designed to do, so as far as possible remain objective, curious or relaxed about it. As soon as you notice your attention has been snagged by some thought, you can feel pleased that you’re back in the present moment, aware of the thinking you’ve just been engaged in. Next you might acknowledge the thought by labelling or describing it (e.g. ‘ahh, that’s planning again’), and then choose whether to stay with the thought or come back to your breath. If you choose to come back to your breath, you’re allowing the thought to go. And, although this might sound like we’re stopping the thought – the difference between ‘trying to stop it’ and acknowledging it and choosing a different focal point, is in practice, very different. We’re allowing and accepting both that our mind thinks, and that our attention will be snagged by that thinking. This gentler approach ultimately means we react differently to the thoughts. In fact, we react less to the thoughts, which is less likely to trigger the ironic processes, and so fewer thoughts snag our awareness. Overall, by not trying to stop the thinking, we get more choice over where we place our attention. For this, the first in a series of ‘Mindfulness is not…’ posts, I’d like to deal with the most common misconception I meet, and one that can pervade even those who regularly practice. The reason is that sometimes mindfulness meditation can be relaxing… but it certainly isn’t the intention of the practice. So, what is the intention? Well, you’ve probably seen a definition of mindfulness, mine is ‘choosing to be aware, in the present moment, without judgement.’ The word mindfulness is a translation of the Pali work sati, which some also translate as awareness, though its somewhat more complex than any single translation (for example, see Mindfulness, by any other name) – though I’ve never seen any connection with the idea of relaxation… quite the opposite in fact. Using a typical meditation as an example of formal mindfulness practice – choosing an anchor, such as the movement of body as you breath, and bringing your full attention to the phenomena of that anchor. In choosing a focal point such as the breathe, there may be little to entertain our busy minds, and before long (seconds!) you may find yourself planning what to have for lunch, wishing you’d said something different in an earlier conversation, or in a deep investigation of that idea you have to solve the world energy crisis… indeed anything but focusing on the body as it breathes. As soon as we realise our minds were off thinking about something else, we can choose to bring our attention back to our anchor. And this process may be repeated many, many times. So, the intention is to be alert, focused and awake, with a light concentration on our anchor – which isn’t how I would describe relaxation. Just try doing it when you’re tired or hungry, it’s hard. 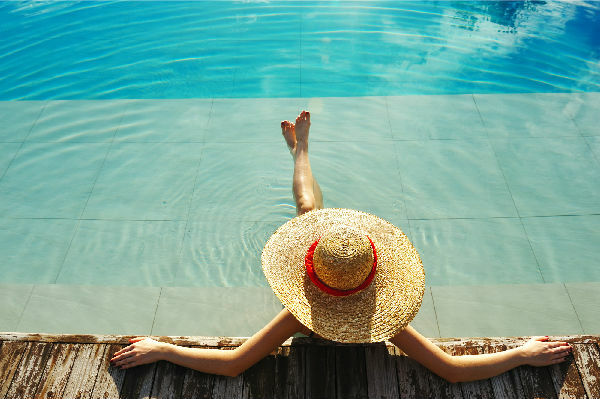 That isn’t to say it shouldn’t be relaxing, if it is, well, then you might consider that a pleasant side effect. Rather than the gentle numbness of relaxation, mindfulness is more about being awake to the realities of the present moment, including our thinking patterns, perceptions, automatic reactions, emotions and sensations. And with this reality, being able to make discerning choice about what, if anything, to do next. Mindfulness, by any other name…: trials and tribulations of sati in western psychology and science. Contemporary Buddhism, 12(1), 219–239. Comments Off on Why Mindfulness? In my last post, about mindfulness at work, I wrote about one of the core benefits of mindfulness being improved control of our attention. But, it’s certainly not the only benefit. Since the late 1990’s, the number of research papers studying mindfulness practices have grown exponentially year on year, with 674 studies published in 2015 (from goAMRA.org); that’s a lot! So, what are some of the benefits of mindfulness practice these studies reveal? First, let me add ‘awareness’ as a core benefit to the ‘aerobic fitness’ model I suggested previously, and then I’ll list a group of overall benefits. Mostly our minds have, well, a mind of their own. They dart here, which links to this, which brings up this thought, which reminds us of a task we hadn’t quite finished, which prompts us to open a new web browser window, which reminds us… and so on. Having control over these related leaps of attention is an important part of the story; the other part is having the awareness that your mind has wandered off topic. This awareness though goes beyond spotting that your mind has wondered. It is also the awareness of how our own mind and body work – that thoughts do come and go, sensations rise and fall in our body, and emotions affect our mood. With practice, this awareness, sometimes called meta-attention, allows us to more easily choose whether to follow a thought, sensation or emotion; or whether to let it pass, deciding not to be snagged by a negative thought and led down a path to unproductivity. I describe attention and awareness as the big two, the two most basic skills that come from mindfulness practice. And so, many mindfulness based courses teach multiple practices (including our own). Secondly, despite the long list of benefits, mindfulness isn’t a a cure-all. As with all interventions, some practices will benefit some people more than others, some people will enjoy mindfulness practice and others will not, the benefits may be more relevant in some circumstances than others, etc.. Though, one potential benefit I didn’t list is ‘world peace.’ That’s the ultimate outcome Chade-Meng Tan, the founder of Google’s mindfulness based emotional intelligence course, sees of having enough people being mindful – hmm, perhaps it is a cure-all. *Many of the research studies relate to clinical topics, such as pain management and depression. For example, Mindfulness Based Cognitive Therapy (MBCT) is recommended by the National Institute for Health and Clinical Excellence in the UK for those who are at risk of of relapse into depression, and so available through the National Health Service. Comments Off on The UK as a mindful nation? The UK as a mindful nation? Yesterday (20th October 2015) in the UK a somewhat unusual report was published. 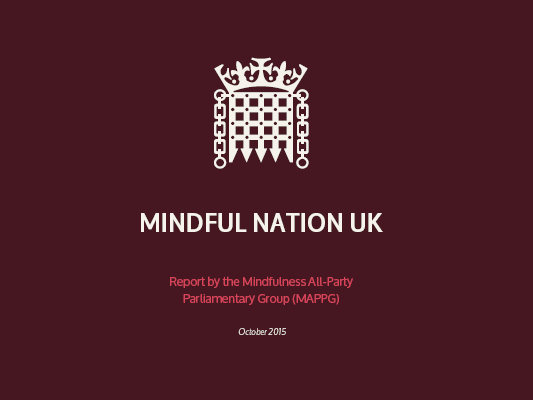 Coming from the Mindfulness All-Party Parliamentary Group (MAPPG), following eight hearings in parliament and over a year of research, the report, Mindful Nation UK, makes recommendations about teaching mindfulness in the workplace, education, healthcare and even in the criminal justice system. Not the kind of research I ever expected to come from parliament! OK, being formally trained in psychology and as a mindfulness teacher, I’m perhaps a bit more excited about the recommendations of the report than most. But then, although mindfulness is not a panacea, I’ve witnessed how the mind skills that it helps develop can be of real benefit in life and work. So, what does the report recommend? For education: create a challenge fund where schools can bid for the costs of training teachers in mindfulness. and in the workplace: leading by example, government departments should encourage the development of mindfulness programmes for staff. And in all cases, further targeted research should be used to forward understanding and good practice. The report also sites a shortage of teachers that have been trained according the UK Network for Mindfulness Teacher Training guidelines (the guidelines that our teachers are trained with and follow, naturally :-), see here), at about 2200 in the UK, and 700 for those in clinical practice. If you’d like to read the full report, you’ll find it here. It’s 66 pages without appendices, though it’s well structured. So if you main interest is in, say the the workplace, then you can read pages 39-50. Announcing our next online mindfulness course, starting on Tuesday 2nd June! If attending a face-to-face course isn’t practical or your preferred approach to learning about mindfulness, then here’s a great alternative. Our next Core Mindfulness Online course runs over 8 weeks, with 75 minute sessions running each Tuesday evening (19.00 UK time), from 2nd June through to the last session on 21st July 2015. We’re using Eventbrite to manage the online booking process for us, so you can read more, and join the course by visiting: http://mindfulnessonline.eventbrite.co.uk. This course has helped me in both professional and personal areas. My concentration levels have improved, helping to to grasp more complex concepts. Thanks very much for this course! I have learned a lot & feel a better person for it. I am better at seeing my stress, taking the time to understand it and respond differently. Here’s the next part on how mindfulness practice helps build resilience. Continuing the theme of the ‘resilience tank’ from part 1, which described making better use of the resilience you have by reducing the impact of stress (turning off the tap quicker). In part 2 we look making the tank itself bigger! You’ll find the post over on LinkedIn.